The savan month is very auspicious for Hindu. When lord Shiva takes goddess Parvati into Amarnath cave, he told about “Om”. Om is the solution for every problem in life. Om meets your favored god. 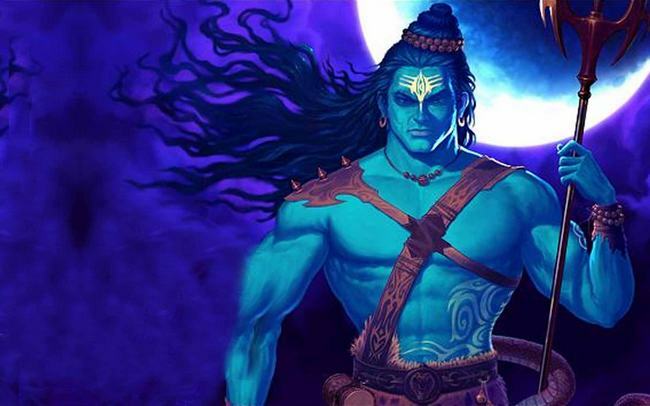 One should start lord Shiva’s worship with Om. Chant this name deeply and long time for three times. Lord Shiva comes after ahan. Offer flowers to lord Shiva as assan. Patient can bring parad Shivaling. One can bring parad Shivaling if he/she has enemies. Use crystal Shivaling if auspicious work is uncompleted. Cover one plate with flowers and keep Shivaling on it. Pour water on Shivaling. Chant “Om Rudray Namah” for 11 times while pouring water. Offer milk after milk. Remember 12 jyotirlinga while pouring milk. Chant “Om Mahkaleshvaraya Namah, Om Omkareshwaraya Namah, Om Nageshwaraya Namah, Om Hugreshwaraye Namah, Om Trimbakeshvaraya Namah, Om Rameshvarya Namah, Om Vaidhnathaya Namah, Om Vishvanathaya Namah, Om Somnathay Namah, Om Kedarnathaya Namah, Om Bhimsankaraya Namah, Om Malikarujunaya Namah”. Pour water after offering milk on Shivaling and chant “Om Rudray Namah”. You can also mix honey in milk. It is beneficial to offer sugarcane juice. Offer sandalwood on Shivaling. Apply sandalwood with three fingers on Shivaling. Chant Mahamrutanjay psalm while applying sandalwood. Offer akshat after sandalwood. Also, offer sesame on Shivaling. Apply Bhabhut to Shivaling. You can use cow’s gobar and light it. Filter the ash. Chant 12 jyotirlinga while offering ash on Shivaling. Chant Mahamrutanjay psalm if you’re suffering with disease. Offer red or white flowers after pouring ash on Shivaling. After that, offer bhang to Shivaling. Bhang is very favorite to lord Shiva. Offer, dhatura flower or fruit. Chant Mahamrutanjay psalm while offering bhang. It is very beneficial for happiness of child. If enemies are creating problems or one cannot get child due to negative energy then offer the root of dhatura on Shivaling. You can also wear the root with black color thread in throat on Monday. Clean Durva with Gangajal and offer to Shivaling. Also, offer pungi, supari and tambul. Pour fragrance on Shivaling. One should offer urad on Shivaling. Offer 5 seeds of urad to Shivaling to get rid of big problems. Donate this urad to poor people. It is very beneficial. Make ready Shivaling after offering everything.